Brian Vickers has the fastest practice speed during practice 2 of 192.699 mph for the 2008 NASCAR Cup Series AMP Energy 500 at Talladega Superspeedway. The practice speeds table shows the fastest lap during practices. 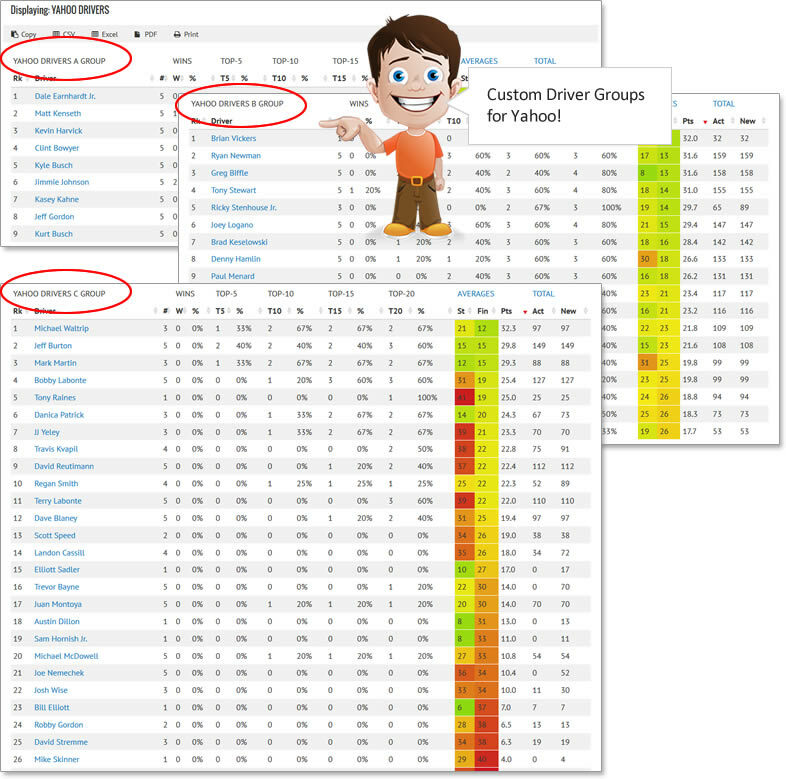 SEE STATISTICS FOR JUST DRIVERS IN THE SAME GROUP. Create as many custom driver groups as you want! By putting each driver group in their own table it makes choosing drivers for Driver Group style games a whole lot easier.